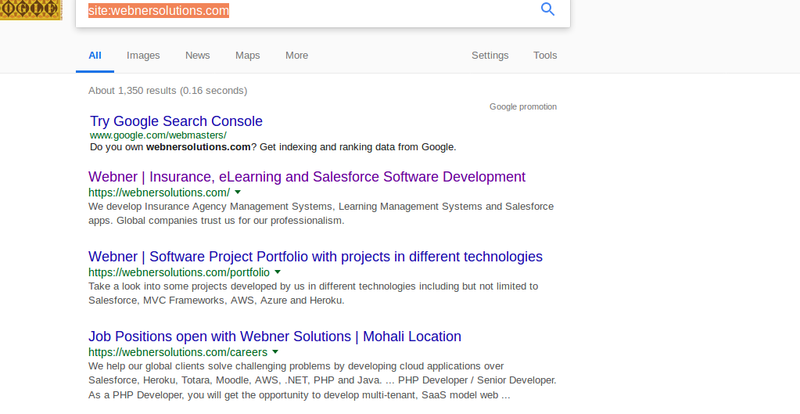 Google defines Search Operators as the “words or symbols in one’s search phrase that make the search results more precise”. These operators have their basis in coding as they are nothing but shortcuts in procuring the best results on the World Wide Web. Whenever we make use of the Google Search Operators we are telling Google to narrow down the results in a Specific way. So when we search on Google, instead of getting tonnes of pages of unrelated results we get what we asked for. If we type in the google search normally then we might get the results of various web-pages that may contain every single word that we entered but not in that particular order. The words that we entered can be in the meta-description of the web-pages and not in the link-description. Google include the meta keywords search too. 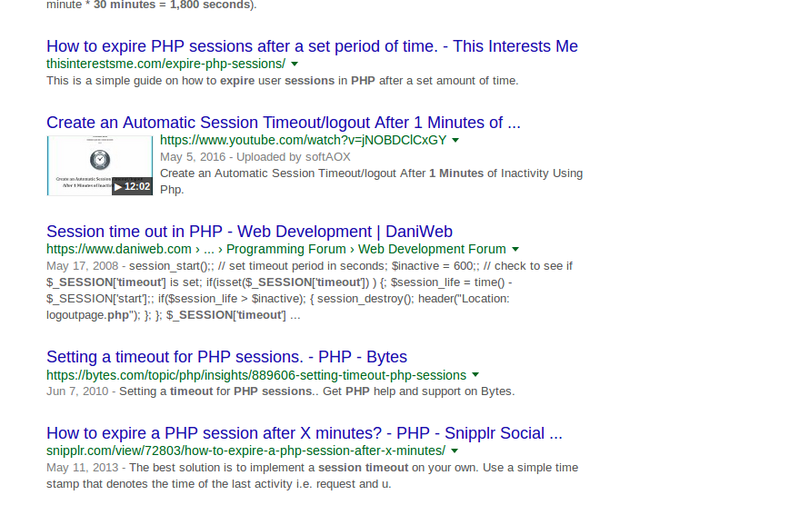 I searched for “session timeout in php” (without the quotes) and results included every single link that contained these words in any manner. The Inverted Comma operators are a way to go if we intend on finding the exact match of what we are seeking. 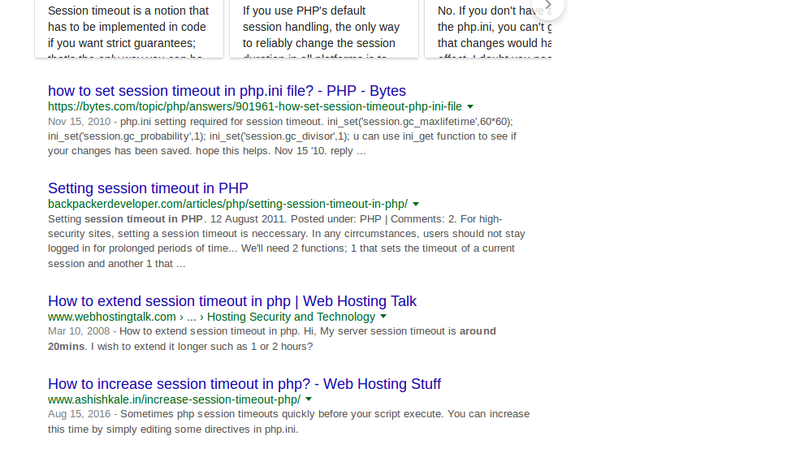 Example: I searched for “session timeout in php” (with the quotes) and results included links that contained these words in the manner specified. This narrows down the search to a whole lot less and helps us in finding what we intend. Note : It is not necessary to search for the whole sentence in the inverted commas. If we only include a single word in our search inside the inverted commas and leave the others as they are then google forces the search to that particular word in the sentence. In our search if want to find something and exclude a particular case in that search then this is the operator that google Provides us. The ( – ) minus operator in our search will exclude the word entered after it. 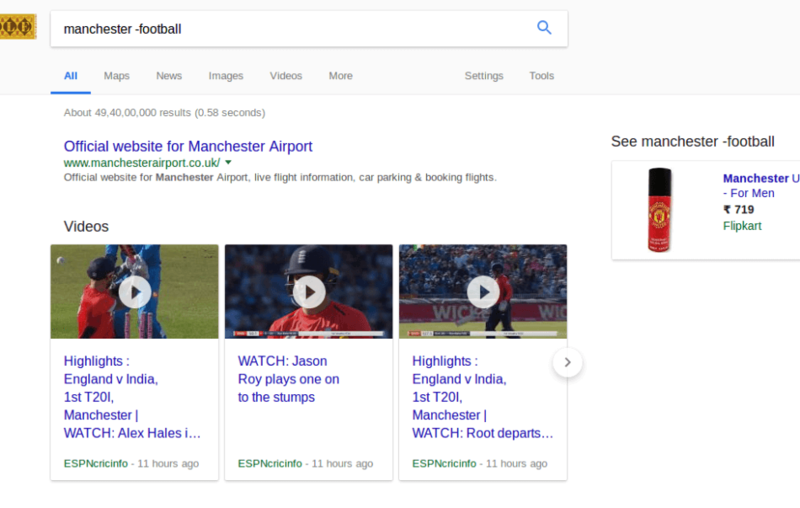 Example : I searched for Manchester and it Gave me everything to see about Manchester including the places and also about the football clubs both Manchester City and Manchester United. But when we want to exclude the results about football then we do it like this ( manchester -football ). Then Google will Exclude all the football results. Note: We can also exclude multiple words by using the minus operator again and again. Like if keyed in the term ( manchester -football -airport ) then the results about the airport will also be excluded. If your search is not specific but you still want to control your results then the OR operator by Google is the way to go. It can be used by Simply Writing ( OR ) between the search terms or by using the symbol ( | ) between the search terms. The results will include the the instances of both the terms and will help you modify accordingly. 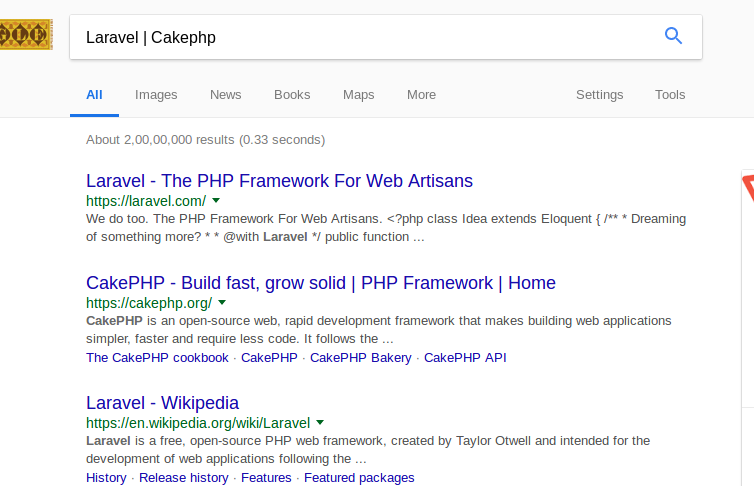 Example: I searched for ( Laravel | Cakephp ) then the results were the alternate links of both the keyed terms. Note: We can make use of the previous search operators along with OR operator to modify the search. Wildcard Operator: The asterisk (*) is the wildcard operator which if placed between the search terms gives the variants of that phrase. 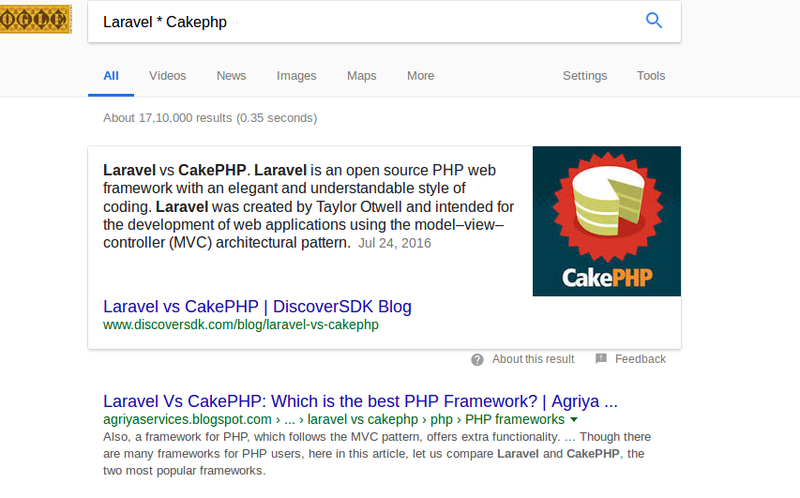 Example: ( Laravel * Cakephp ) will include the versus results the and results the or results etc. Include Words Operator: The ( + ) plus is the include words operator which includes the word in the search term after the operator. It can be used to include phrases as well by writing the phrase between the ( “ ” ) double quotes. Example: ( India +IT) will give all the results of the IT industry in India. Example: ( site:webnersolutions.com ) will include the results from the site only. Note: This operator can also be used for finding the sites in the particular area. For example ( site:.in) will include the results of the sites that end with( .in ). 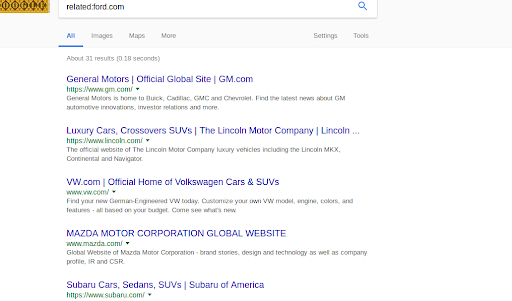 Example: ( related:ford.com) will include the search results from the sites that are related to ford.com in some Manner. Example: ( info:webnersolutions.com ) will include the informational link to this particular site only. Search Using the Range: By using this we can search for something within a particular range be it the financial range or the distance. Example: ( car $4,000..$6,000 ) will include the car between 4000 and 6000 dollars. Location Specific Search: If we are searching for something the we can be location specific about that too by simply using the ( loc: ) operator after the search term. 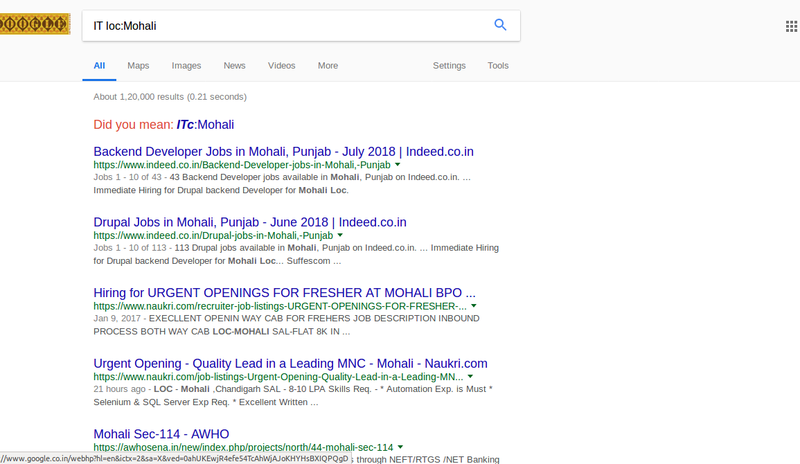 Example: ( IT loc:Mohali ) give us the results regarding IT in Mohali.